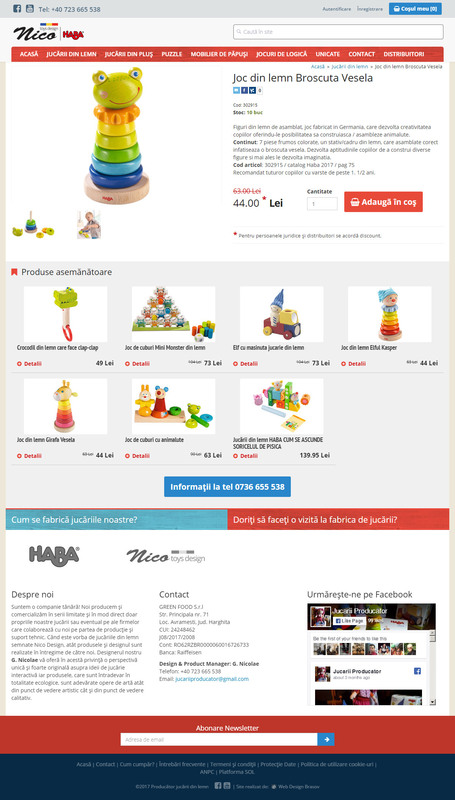 e-Commerce website design and development for a Romanian wooden toys producer based in Brasov. 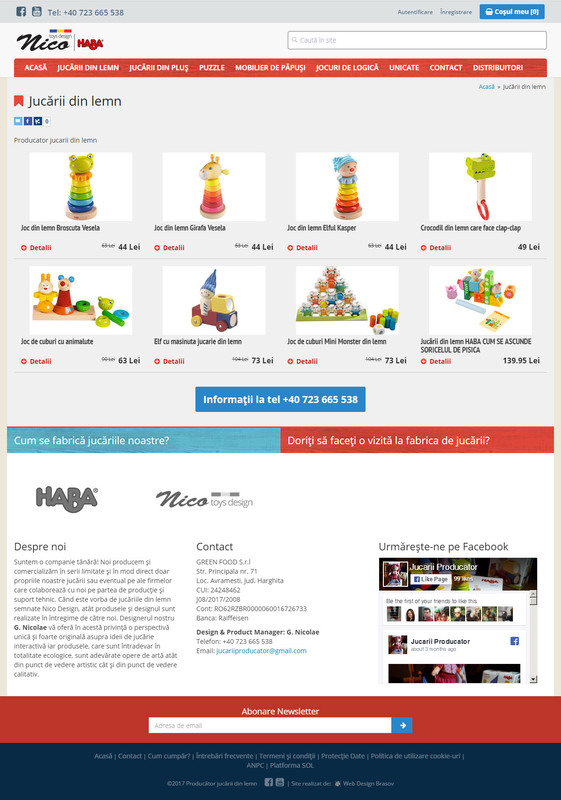 The site is custom made, no predefined themes were used. It features a custom made content management system for easy site maintenance. It is built with Responsive technology, custom made search with auto complete widget and multi language. The site features credit card payment method, upon delivery payment option or via direct bank transfer. It has a fully integrated shipment API to easily calculate shipping rates and generate tracking codes.